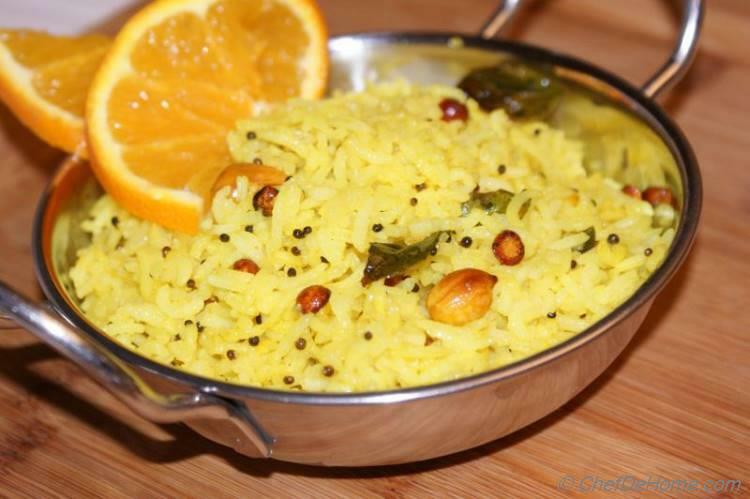 Lemon Rice is an excellent vegetarian recipe idea which in my world is a "great utilization of leftover rice". 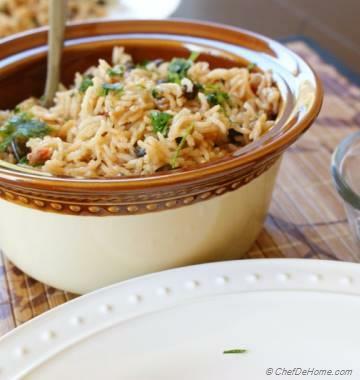 You can also use fresh steamed or boiled rice for this recipe, but leftover always taste better. 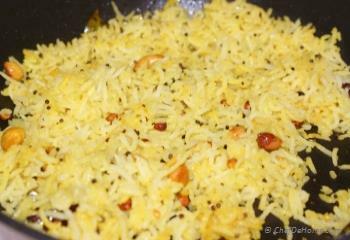 Think about saving some rice from Sunday supper and making quick and delicious lemon recipe for Monday Lunch. 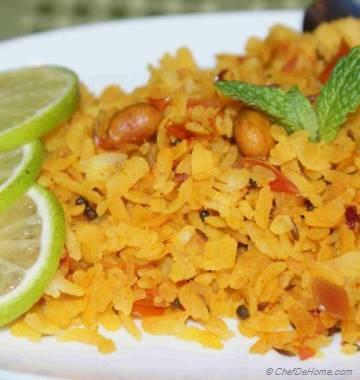 My family love this rice recipe. 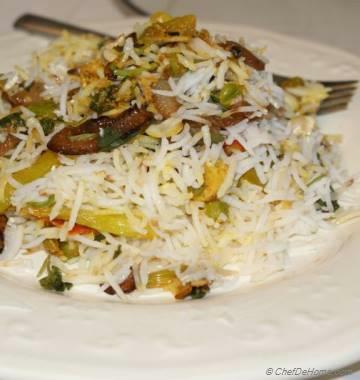 You can use any type of fully cooked rice, I prefer Basmati Rice for its low GI. 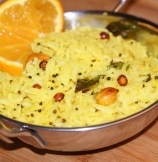 Lemon Rice recipe is a day to day South Indian staple and also made during festive season. I even make it for picnic or pack it to-go for short trips. 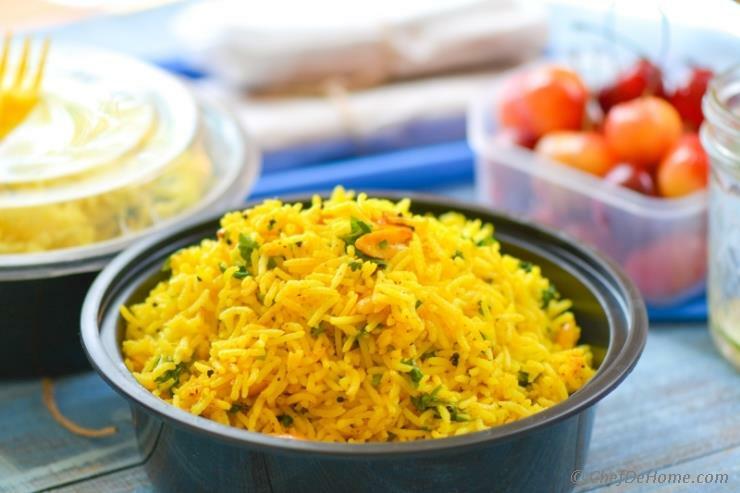 These lemon rice pictures I took recently again, while packing lunch for a short trip with some fruit and drinks on the side. 1. Heat oil in a Wok or Kadai. Add channa dal fry for 30 seconds Or till dal starts changing color. Add peanuts and fry for 20 seconds. 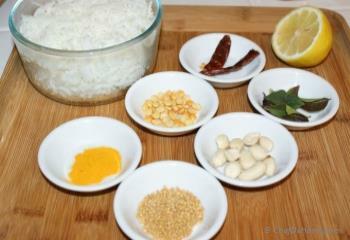 Then add mustard seeds, allow to splutter and then add dry red chillies, curry leaves and fry for another 30 seconds. 2. Now turmeric powder and fry for 10 seconds. Add lemon juice, salt and mix well. Immediately add cooked rice and stir gently until everything is heated through. 3. 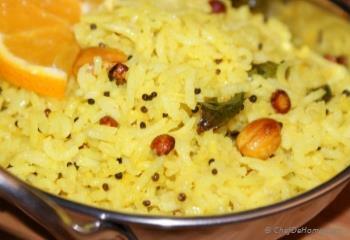 Lemon Rice are ready. Serve hot and Enjoy!!! If you like nuts, Cashew nuts can be very good addition. Just add them at same time when adding peanuts to oil. I tried your Lemon Rice recipe today. everyone loved it so much. cannot wait to try this recipe. 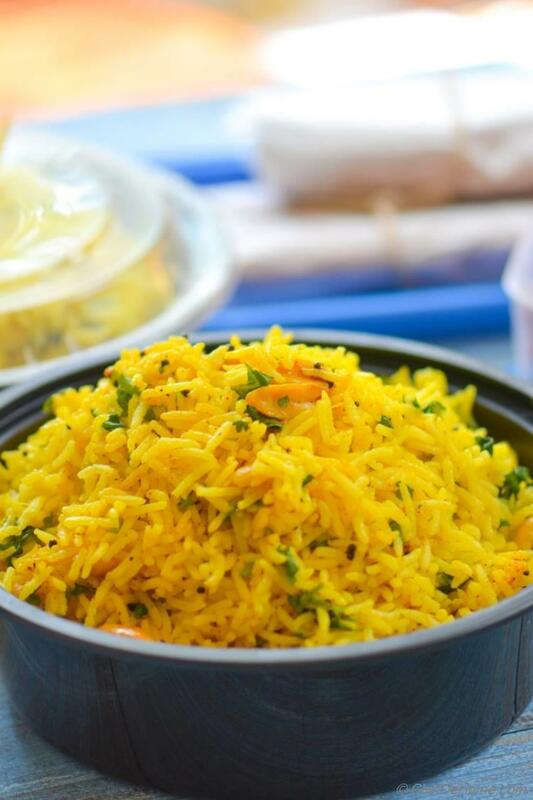 Pictures look so perfect and Lemon Rice look so delicious.